Part road and part 4×4 trail, the Rubicon is carved through 22 miles of gorgeous Sierra Nevada rock and is the arguably the most recognizable 4×4 trail in existence. Originally a Native American trail used to link the Sacramento Valley with Lake Tahoe, The Rubicon has since become an off-roading Mecca. Sierra Nevada range, west of Lake Tahoe and about 80 miles (130 km) east of Sacramento. Moab, Utah’s stunning red rock scenery is considered one of the most breathtaking on Earth. It’s also home to two national parks—Arches National Park and Canyonlands National Park—and to Dead Horse Point State Park which overlooks the Colorado State River. The vastly rich natural scenery positions Moab as the perfect destination for outdoor enthusiasts. 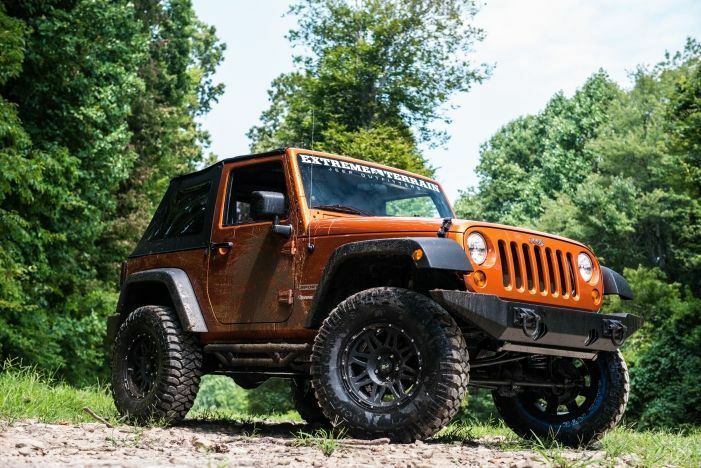 With over 30 off-roading and Jeeping trails available, there are just too many to list individually. Yearly events such as the Easter Jeep Safari drawing thousands of off-roaders and the Jeep brand out to test their yearly concept vehicles.